READ: A series of short videos by Marshall Thomas dedicated to exposing the current Phoenix Program in the US aimed at dissidents, whistleblowers, and “security risks” subjected to a combined program of Phoenix, MKULTRA, Cointelpro, and human experimentation using non-lethal weapons. Expose and Expunge Targeted Individuals of domestic spying racket. Stalking, Harassment, and Murder in the Workplace: Guidelines for Protection and Prevention By Nellie Lanteigne (2000) “Law and business libraries of all kinds should consider purchasing this book….an excellent resource for researchers.” – Legal Information Alert. READ: Chapter by chapter, Schell and Lanteigne give detailed information about how stalkers think and behave and what law enforcement and businesses can do to protect employees against them. 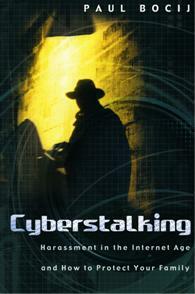 A unique feature of this book is its analysis of the effect of the “stalking cycle” on victims. Stalking, Harassment, and Murder in the Workplace. READ: In this landmark study, already a bestseller in France and forthcoming on over ten countries, the author analyzes, with numerous examples, the specific features of an abusive relationship-and cautions against complacency. She demonstrates a deadly process at work among couples, families, and in the workplace, a process that sweeps its victims into a downward vortex that can even lead to suicide. 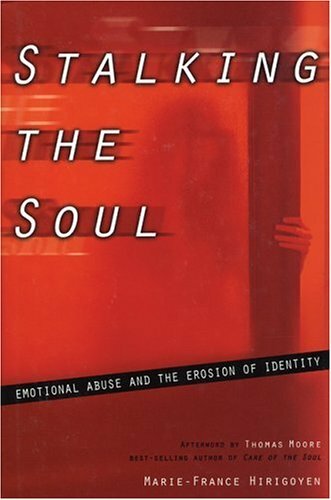 Until now the subject of emotional abuse through perverse violence has been largely neglected. This noteworthy and well-documented book is a practical guide for its victims and for people wishing to help them, as well as for health professionals. Emotional Abuse. 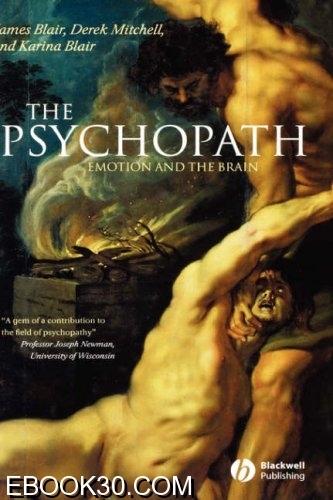 The Psychopath by James Blair, Karina Blair, and Derek Mitchell (2005) “The psychopath always fascinates, and this new book rises to the challenge of its subject. The book exhaustively covers everything known about psychopathic state to date. It also brings an exciting new theory, exploring the neuro-biological underpinnings of psychopaths’ broken emotions. The Psychopath will be an engrossing read for any clinician, scientist or student who wants to understand that mysterious individual, the criminal psychopath.” – Terrie Moffitt. READ: The picture that is presented is somewhat messy, and the authors frankly admit that there are many loose ends. But there is little doubt that this book represents the state of the art, not only on psychopathic, but also on the many different causal factors involved in reactive aggression. It gives, not a full and final picture, but an accurate representation of science as it is actually practiced, in which puzzles proliferate faster than they can be solved. It is marred, to my mind, only by an uncritical use of the distinction between genetic and environmental causes. It is highly recommended. Review – The Psychopath Emotion And The Brain. READ: This book is an INCREDIBLE resource for victims of multiple stalking and group harassment. 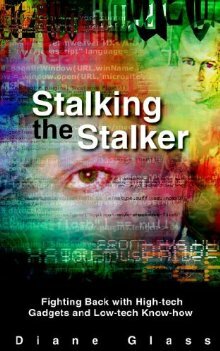 The author accomplished what multiple stalking victims only DREAM about – he penetrated street level perpetrator groups. Although this book does not indicate David Lawson is aware of the full spectrum of advanced electronics some of these groups have and use, this book is likely to be very helpful for victims who are forced to deal with skeptical family, friends, co-workers, and local authorities. It is definitely a breakthrough in the cause of exposing and stopping these criminal gangs who operate freely, while law enforcement only gives their lowest ranking street level members a slap on the wrist now and then (while they deny such crimes happen to victims who complain.) If a multiple stalking victim can comfortably afford the book, I’d give it a definite “buy” recommendation. It will certainly open at least some of the minds of people we multiple stalking victims are forced to deal with. Book Review: Terrorist Stalking in America. 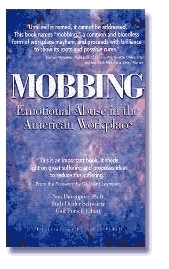 Mobbing: Emotional Abuse in the American Workplace By Dr. Noa Davenport, Ruth Distler Schwartz, Gail Pursell Elliott (1999) “This book is a great place to start because it’s easy to read and understand. It helps you move from feeling powerless to empowerment. It explains the dynamics behind the mobbing syndrome and that it is very rarely (if ever) the target’s fault. Regardless, there is absolutely no justification for any kind of abuse in the workplace.” – Briana M. O’Brien. 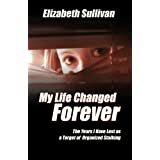 READ: In my (Eleanor White’s) view, having this book in hand can be a great way for organized stalking targets to begin the process of educating one’s friends and family as to the reality of this seemingly ‘taboo’ side of contemporary human behaviour. Mobbing: Emotional Abuse in the American Workplace. Operation Mind Control By Walter Bowart (1978) “The book disappeared because, according to what I learned, the CIA did not want the public to know the extent and details of its mind control programs. I believe even Walter Bowart himself once described how the entire warehouse supply was bought up by the CIA. The book also began vanishing from libraries across the nation, and virtually every copy available in bookstores was suddenly bought up and disappeared into a black hole.” – J. Moore. READ: Look at the DSM-IV [Psychiatric Diagnostic Manual. It] is strongly influenced by the insurance companies and people having no experience in the richness of the human mind and spirit. That’s one of the things that the MK-Ultra victims taught me. Over and over I heard the phrase, “They didn’t mess with my mind; they messed with my soul.” I’ve begun to think in spiritual terms of what has gone on here. This is a horrible thing. [It is] just like the Inquisition, but more sophisticated and less visible. There’s no blood on the streets, but that makes it even more insidious. And of course the technology is now available to everyone. Walter Bowart interview. 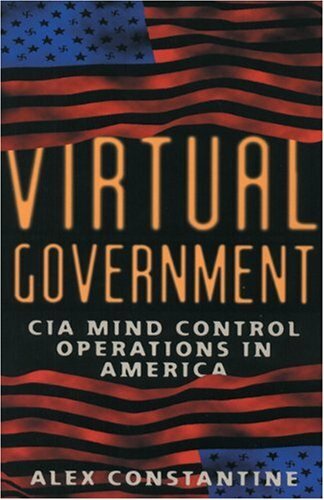 Virtual Government: CIA Mind Control Operations in America By Alex Constantine (1997) “Starting in the previous years of WWII, Mr. Constantine guided us through the tortuous ways used by de Nazis to get into power and how after the end of the war – in collaboration with several US agencies – infiltrated and blended into American culture, economy, society and policy but the most shocking part of this research is how these “organizations” manipulated the citizenry.” – Oscar L. Vazquez. READ: Virtual Government sets out to put the Secret State agenda into historical perspective by tracing the origins of the CIA back to the American importing of Nazi agents whose agenda wasn’t just the continuation of the war against Communism in the framework of western democracy, but also to pave the way for the Fourth Reich. How close they got in realizing this aim? Rather close, Constantine suggests, unleashing a barrage of data on the unsuspecting reader, creating the image of a nearly all powerful CIA/Nazi-Network involved in brainwashing and remote controlling the minds of America and the World. Virtual Government. Controlling the Human Mind: The Technologies of Political Control or Tools for Peak Performance By Nick Begich (2006) “Begich unveils the shadowy advancements in subliminal messaging, mind control, and energetic weapons systems. He describes astonishing new inventions, like a device that uses the Microwave Auditory Effect to send high fidelity sound directly into a person’s brain, but which is inaudible to anyone standing next to that person. He informs us about the Air Force’s mysterious Radiofrequency Radiation Dosimetry Handbook, and its sinister possibilities.” – Jared R. Endicott. 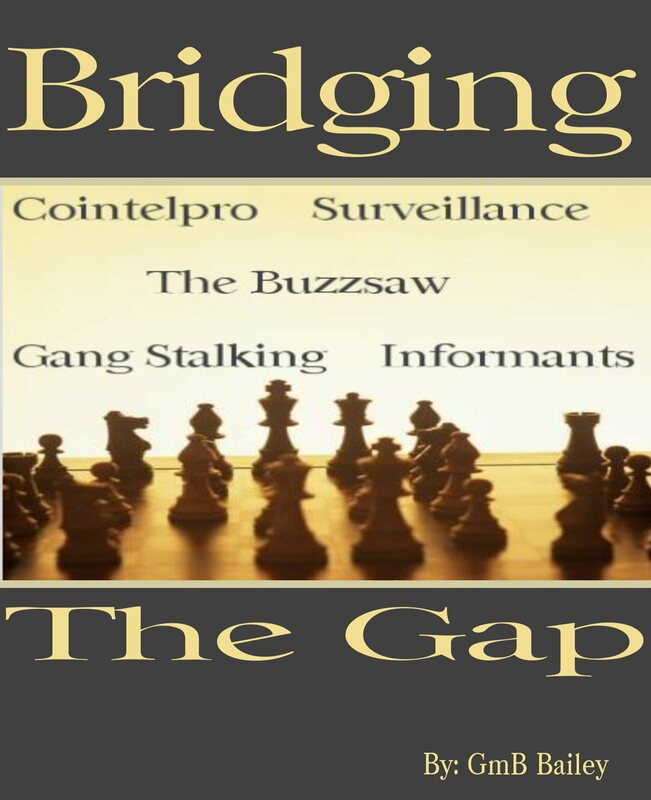 READ: It is essential in the fight to expose and stop all aspects of organized stalking and electronic harassment that the AGES of the proven beyond all doubt weapons be PROMINENTLY displayed. When a military weapon is discussed, say, in an article in Defense Electronics a month ago, that’s one thing. But when a technology is brutally invasive, as voice to skull is, and has been around for over THREE DECADES, and is relatively simple to be created by a senior radar technician or engineer, the public MUST be told that. Loud and often. Review: Controlling the Human Mind by Dr. Nick Begich. 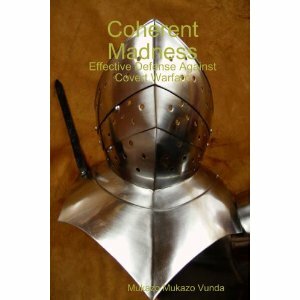 Coherent Madness: Effective Defense Against Covert Warfare By Mukazo Mukazo Vunda (2008) “The covert warfare targeted individuals fall prey to in the west isn’t as covert as it is misleadingly defined. It is in fact institutionalized, meaning it has of necessity been made a part of the system. It is functional for society at large inasmuch as it provides a safe outlet for appetites generated in the masses by the western cultural orientation that would otherwise destroy society from within.” – Peter Mooring. READ: Mr. Mukazo Vunda asserts he was, and remains a target of such attacks himself and is using the knowledge he has gained “the hard way”, as he says himself, to share what he has learnt along the way in order to afford the public the capacity to know whether and when they can become targets of covert warfare, how to identify instances of covert warfare; how to identify the attack methods involved in individual cases, and then goes on to provide information that will enable victims, as well as the communities to which they belong, to possess or either start off on the road to possession of the potential to defend and protect indigenous culture against what is at base a form of terrorism. Coherent Madness: Effective Defense Against Covert Warfare. 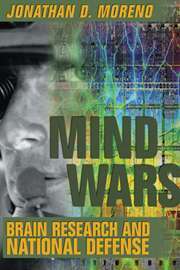 Military Mind Control: A Story of Trauma and Recovery by Colin A. Ross (2009) “I was hoping this book would shed more light on the military mind-control projects, but mostly it was the story of how one patient struggled to heal from the abuse. There weren’t enough details about the actual process involved.” – Matt Beal. 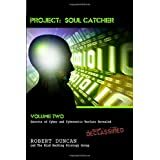 READ: In the course of the project’s mind-control research, MK-ULTRA experimented with a variety of drugs – sometimes on unwitting citizens – in an effort to find the perfect truth-serum. While some drugs made most subjects more chatty, none reliably provoked the unrestrained revelation of guarded secrets that experimenters had hoped for. In fact, the potential for the subject to divulge unreliable, false, fabricated information was found to be so high that the drugs employed as truth serums were eventually disregarded as useless. Nightmare Psychiatry: Delusions of Satan, ET abduction, and the cultivation of false memories. 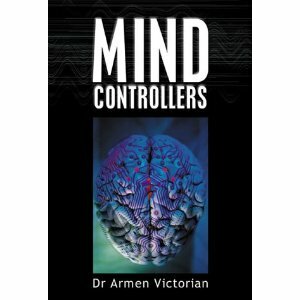 Mind Controllers by Armen Victorian (2000) “His investigations, based primarily on declassified documents obtained using the U.S. Freedom of Information Act, reveal evidence that is both disturbing and fascinating. 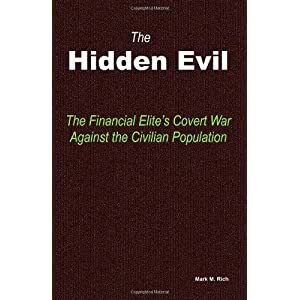 This book delves into the various attempts of intelligence agencies worldwide to master techniques of psychological manipulation of resistant individuals.” – Rob Marshall. READ: Diligent use of the Freedom of Information Act (FOIA) in the US helps to cast light on the advances that have been made in controlling the way people think and act – and how it is possible to sap their will to resist. The FOIA allows the most humble citizen to demand the disclosure of documents, although inevitably some will be heavily censored or not released at all. That is how much of the information in this book has been pieced together. Mind Controllers. 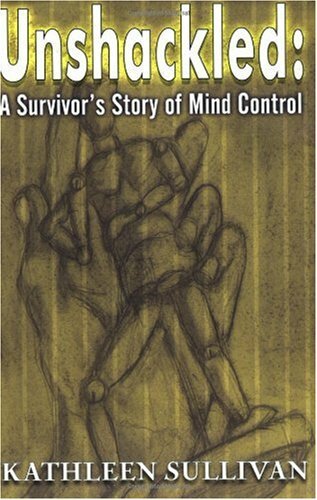 Unshackled: A Survivor’s Story of Mind Control by Kathleen Sullivan (2003) “Unshackled: A Survivor’s Story of Mind Control by Kathleen Sullivan deserves a most unique place in your reading collection. This revelatory piece of work paints the frighteningly horrific domain of child abuse with a mind control agenda for existing agency use. Beyond hidden group rituals may well lie organizations under the protection of government studies.” – Rebecca J. Reed. READ: Kathleen is the author of Unshackled: A Survivor’s Story of Mind Control, published by Dandelion Books, which can be ordered from Book Surge. She is founder and president of the North American Freedom Foundation (NAFF), a victim and survivor advocacy group. Interview with Kathleen Sullivan. 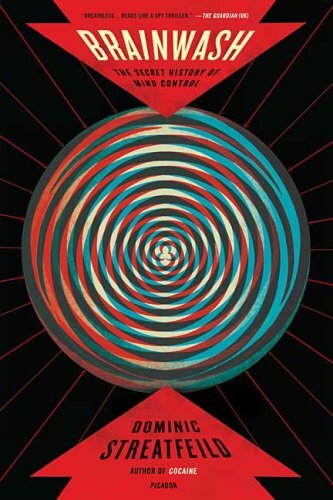 Brainwash: The Secret History of Mind Control By Dominic Streatfeild (2008) “In Brainwash, Streatfeild follows the brainwashing research supported by government funds from the 1950s to the present. The initial motivator, he writes, was the idea that if the communists were doing it successfully, the West had better learn what was involved. 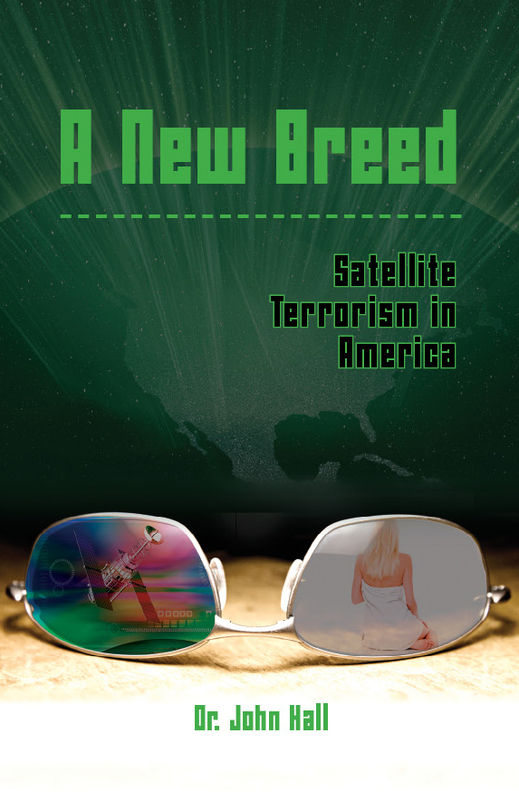 Streatfeild summarizes the legitimate research conducted by the United States, Canada, the United Kingdom, and Denmark and some of the unfortunate and well-known results.” – Hayden B. Peake. READ: Dominic Streatfield’s book on the subject is amusing and tragic in equal measures. Unburdened by consideration of the moral and ethical morass into which they were casting themselves, and in the name of security, agents drugged the unwitting with sodium amytal, killed an elephant with a dart containing a massive dose of LSD and tried out violent hypnosis techniques on unwilling subjects. Brainwash – review. 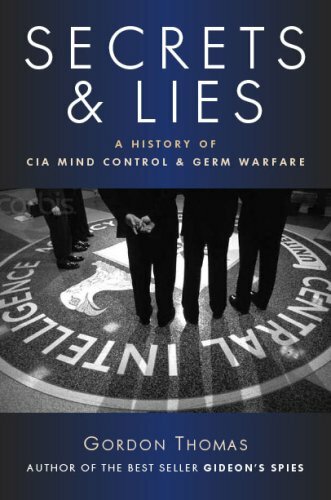 Secrets & lies: a history of CIA mind control & germ warfare By Gordon Thomas (2007) “It’s true that Secrets and Lies don’t cover the entire scope and history of US government human experimentation within its pages. No single book can. The subject is still so extensive, complicated, and covert that – once the lid of secrecy is more completely lifted – we will probably need several series of books, each of them the size of a standard set of Britannica Encyclopedias, to sufficiently educate ourselves about the full scope of what has been perpetrated against humans in the US and Canada – via US government human experiments – since the early 50s.” – Kathleen A. Sullivan. READ: “Secrets and Lies” introduces never-before published government documents and includes affidavits and transcriptions of interviews with both perpetrators and victims of the CIA’s clandestine operations. Revelations include the story behind the death of Frank Olson, killed to prevent him from ‘blowing the whistle’ on the CIA’s mind control and secret weapons programmes, including how Donald Rumsfeld and Richard Cheney were complicit. Publications. 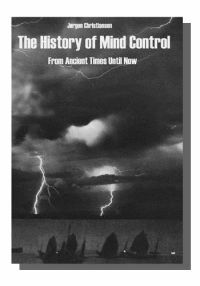 The history of mind control: from ancient times until now by Jorgen Christiansen (1999) “This is the story of the history of controlling men’s minds from a distance, how long has this been going on. The acquisition of electricity and magnetism and their use to develop instruments of power and control, was no small addition to men’s abilities, a force that exercised a considerable influence on society remained unknown throughout history.” – Beskrivning. READ: Since then in 1999 the European Parliament has written a plenary report suggesting an international ban on such technology. 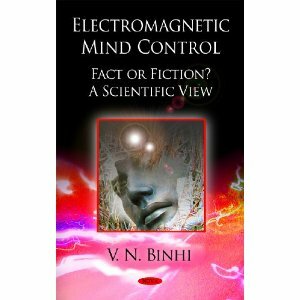 The same year the COM plaintive published a book “The History of Mind Control (From ancient times until now)” which is in the libraries, and recently his story “At vokse med tårne” published in Denmark. Despite all this he is tortured every day and thus forced to seek help. CASE SUMMARY – Jørgen Christiansen – USA Denmark. 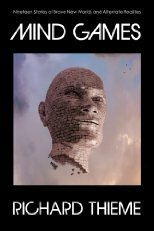 Mind Control, World Control By Jim Keith (1998) “I read this in 1999 and found it to be an accurate primer for those who have long suspected that things in America aren’t quite ‘right’. Having undergone 30+ years of non-consensual experimentation, harassment, stalking and other crimes here in the US, I can recommend this book to others who may just be coming to the realization that they, too, are under attack.” – Donald W. Pendergast. READ: “Being an infrasound, very low frequency-type transmission, the acoustic psycho-correction message is transmitted via bone conduction. This means that earplugs will not restrict the message. An entire body protection system would be required to stop reception. The message, according to the Russians, bypasses the conscious level and is acted on almost immediately. The Russians say that the messages are acted upon with exposure times of less than one minute. 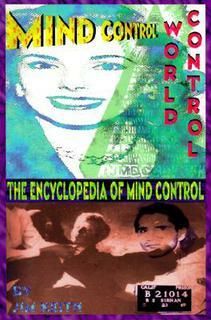 IN YOUR HEAD: EXPERIMENTS INTO REMOTE MIND CONTROL TECHNOLOGY. Mind Control: The Ancient Art of Psychological Warfare by Haha Lung (2006) “Mind Control by Dr. Haha Lung is a wonderful enticing gateway into the human mind. Dr. Lung shows us how to manipulate our enemies through their beliefs, hopes and fears allowing the user to get exactly what he or she wants. However this is not a simple method of walking up to a random person and brainwashing them in to oblivion. It takes time, and lots of it. Lung indicates that in order to get what one wants they must know their enemy better than they know themselves.” – Sevenswordsmen. 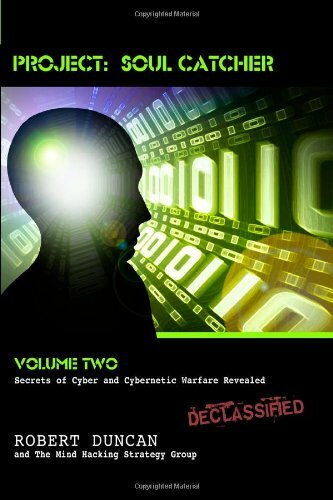 READ: Dr. Haha Lung, martial arts expert and author of Mind Manipulation, returns with an even more comprehensive guide to the art and skill of psychological warfare. Dr. Lung demonstrates step-by-step how to break through an enemy’s defenses to use their fears, insecurities, superstitions, hopes and beliefs against them. Mind Control takes the techniques outlined in Mind Manipulation further by utilizing the techniques created by Sun Tzu. Synopses & Reviews. 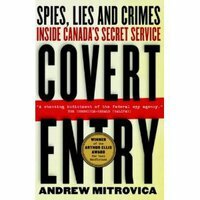 Covert Entry: Spies, Lies and Crimes Inside Canada’s Secret Service By Andrew Mitrovica (2003) “Secret information often falls into the wrong hands, including that of petty criminals. Laws are broken for no clear reason. Money is wasted on investigating non-matters while important investigations are forgotten about. Laws are broken for friends or politicians. Furthermore, this was never reported, because CSIS is free from all accountability, and are capable of silencing anyone who speaks out against them.” – Antoine Tardif. READ: As a result, in spring 2004, I wrote a piece for Media, a publication of the Canadian Association of Journalists, where I examined the smear campaign up to that point. The tone and scope of the Walrus piece differed markedly from my report in Media magazine. This was the product of Walrus editor Ken Alexander’s wise hand. Ken was insistent that the piece reflect a sober and comprehensive review of the media’s coverage of the Arar affair. Ken understood that the story needed to be stripped of the moral outrage that ran through my earlier piece in part to blunt criticism that my account was little more than a polemic, rather than a bit of clinical reportage. He was right. (Throughout the research and writing, I also relied heavily on the counsel of Canadian Press reporter Jim Bronksill – a colleague I respect and admire – to ensure that the story was straight and fair.) Hear No Evil Write No Lies ByAndrew Mitrovica. Suburban Spies “Anthony Brina’s harassment dates from 1995, and continues to this day. I haven’t read the book from cover to cover, wishing to put my available time with strength to do productive things on other matters. However, I’ve read incidents throughout the text, and for me, this book is VERY well written, and most importantly, reports objective experiences of target Brina. No exaggerated claims, no blaming the harassment on groups for which the author has no proof are responsible. And he does relate instances where people he has contacted have acknowledged some familiarity with the problem of organized harassment. 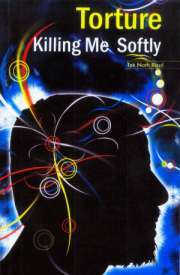 As you can see from the table of contents, Brina’s story shows that the harassment crime syndrome many targets call “organized stalking and electronic harassment” is a WORLD WIDE phenomenon” – Eleanor White. 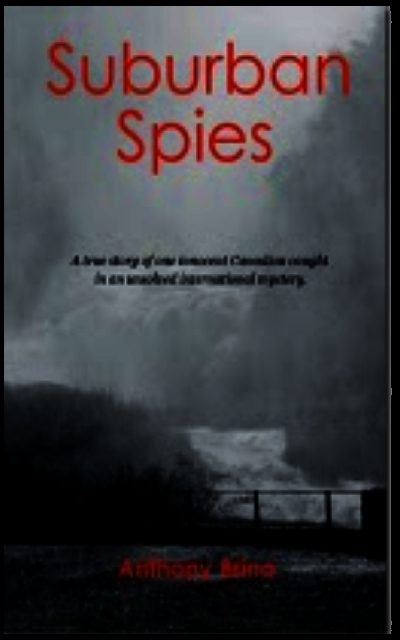 READ: In Canada, Anthony speaks with authorities including Canadian Intelligence to see that the iniquity continues, and discovers a Global Surveillance Network which has been secret to the world. 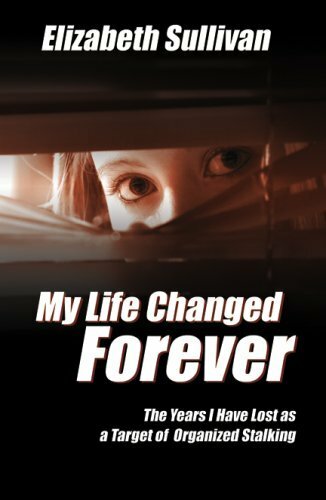 This true story is an account of Anthony Brina`s incredible events since 1995, which include a threat on his life, a planted suicide note in his residence, and false accusations of a Police search for him. Who is behind this collusion of espionage activity? Is it family or friends, a government, or perhaps corporations are behind this international mystery? Can you determine who is behind it and why they have chosen Anthony as their victim? As you read his story you realize this could happen to you. Suburban Spies. 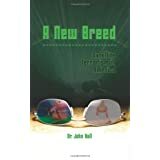 New Gang Stalking Book?. 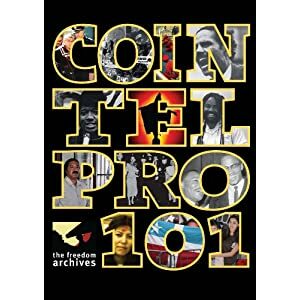 Cointelpro 101 (2011) “Cointelpro 101 exposes illegal surveillance, disruption, and outright murder committed by the US government in the 1950s, 60s, and 70s. Cointelpro refers to the official FBI Counter Intelligence Program carried out to survey, imprison, and eliminate leaders of social justice movements and to disrupt, divide, and destroy the movements as well. Many of the government’s crimes are still unknown. Through interviews with activists who experienced these abuses first-hand, with rare historical footage, the film provides an educational introduction to a period of intense repression and draws relevant lessons for the present and future.” – borders. The Setup: Memoirs of an NSA Black Operation (2007) “In the first several pages I was inundated with sloppy writing, poor grammar, run-on sentences, unsubstantiated accounts, and lazy, one-sided writing. His makes claims of mind-control being perpetrated by the NSA…though he has nothing to back up the claim except that he heard voices from “a classified electronic remote viewing system.” Maybe he just heard voices…His writing is the convoluted jumble of a man in serious need of medical attention. He talks about being fired from job after job…implying they were all out to get him…then getting in a car crash (which was also, of course, a secret government plot). I could only make it about 10 pages in before feeling like I was reading a mental health case study instead of a well-researched novel.” – C. Friedman. READ: Back in his hometown, Michael finds out an impostor spy committed a crime and framed him by stealing his identity. Coming full circle, he now battles the NSA’s domestic spying program and the impostor after a burn notice was issued which meant the destruction, or burning of, any important documents, UBS contracts, IDs, business cards, and computer records. Find out about the ID theft case that fooled the feds and led to the famous setup to go to jail overseas. 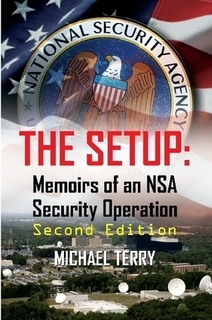 The Setup: Memoirs of an NSA Security Operation, Second Edition. 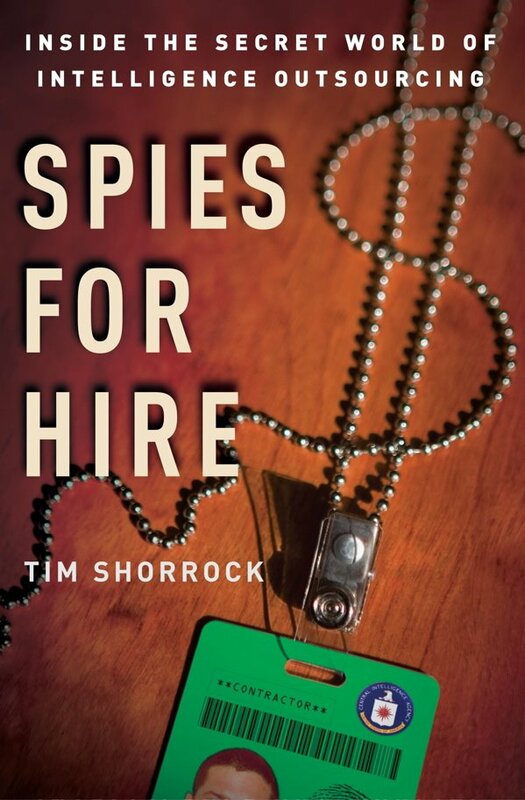 Spies for Hire: The Secret World of Intelligence Outsourcing (2008) “I sat down with this book today and found it absorbing. It is perhaps the best overview for anyone of names and numbers associated with the $60 billion (or more, perhaps as much as $75 billion) a year we waste on the 4% we can steal, and next to nothing on Open Source Intelligence (OSINT). The book loses one star for failing to integrate over 300 relevant books (see the annotated bibliographies to my first two books), and for failing to apply any visualization at all. This book is a mass of facts and figures, names and places. With or without visualization, it is a seminal reference point and recommended for all university and public libraries.” – Robert D. Steele. 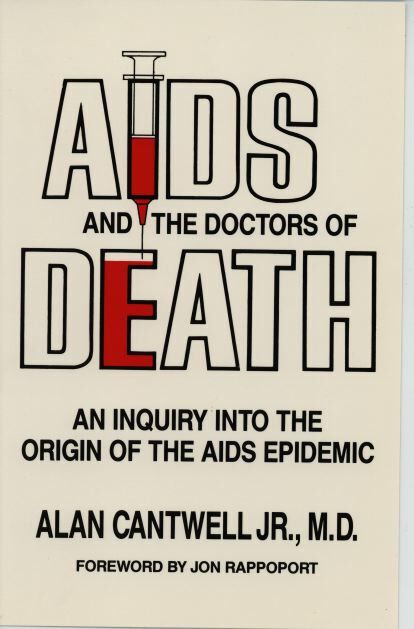 AIDS And the Doctors of Death: An Inquiry into the Origin of the AIDS Epidemic By Alan Cantwell (1988) “Cantwell’s proposal that HIV was man-made and that AIDS was introduced into the human population through the hepatitis B vaccination, is a very interesting and amusing theory. His claims seem to be very radical because his beliefs were based on assumptions. He has no real evidence that suggests and can prove that AIDS was man-made. This makes the first part of his argument questionable. He also wasn’t able to prove that hepatitis B vaccinations caused AIDS, which makes the reader question the credibility of his argument. However, his claim cannot be looked down upon either because his arguments were reasonable. In other words, his arguments cannot be proven; however, it provides information that leads the reader into believing the cliché, “anything can happen.” Therefore, I think that it is a good book to read for those who are interested, but it shouldn’t be taken seriously. Overall, I recommend this book to readers who are open-minded, since the topics discussed are very controversial and resemble the science fiction novels. It’s a good book to increase ones knowledge about the various theories on AIDS and the ongoing virus experiments that occurred in the 1960′s. However, for those hard-core-evidence audience, the zoon-sis theory seems to be more appropriate. Don’t believe what I say, find out for yourself.” – hotballerz. READ: Since the beginning of the AIDS epidemic there have been persistent rumors that the disease was man-made, and that HIV was deliberately “introduced” into the American gay and the African black populations as a germ warfare experiment. This so-called conspiracy theory was quickly squelched by virologists and molecular biolologists, who blamed primates in the African bush and human sexuality for the introduction and spread of HIV. Blaming Gays, Blacks, and Chimps for AIDS. The Great Betrayal: Fraud in Science by Horace Freeland Judson (2004) “To be sure, the book does contain a few fresh ideas. The first couple of chapters provide a good discourse in the philosophy of science. Some ideas regarding archive are also quite nice, as long as they are not presented as some magic bullet which will miraculously eliminate scientific fraud. But were these worth reading through 400 pages of naive populism written by someone who, by own admission, has never been a practicing scientist? I’d say no.” – Konstantin Momot. READ: Three examples are given of the way in which education and information about scientific findings have been manipulated to support a conservative religious ideology. In order to demonstrate that abstinence-only programs were effective, the Bush administration instructed the Centers for Disease Control not to follow the actual birth rate for participants in an abstinence-only test program, but only their attendance and attitudes toward the program. In order to hide the effectiveness of condom use in preventing HIV infection, the CDC was directed to emphasize condom failure rates in its educational material. Finally, the National Cancer Institute was directed to post a claim on its Web site that abortion promotes breast cancer although a large study had shown no connection between them. Dishonesty in Science. 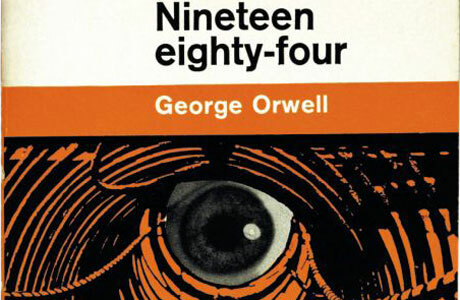 Nineteen Eighty-Four (1949) “It is to Orwell’s credit that there is no happy ending, almost a sense that there is no resolution. The scenario is too grave and too plausible to allow the reader the right to put the book aside, thinking “All’s well that ends well. Orwell’s book, by pushing ideas of social control to its ultimate absurdity, stands as a reminder that governments can start to value power for power’s sake and subjugate the needs of the population to their own ends. He especially inspires the reader to greater vigilance in times of national threat and war, for these are times when the infringement of personal liberties are most easily justified by the oligarchy.” – James Parsons. READ: The story of Winston Smith presents the world in the year 1984, after a global atomic war, via his perception of life in Airstrip One (England or Britain), a province of Oceania, one of the world’s three super-states; his intellectual rebellion against the Party and illicit romance with Julia; and his consequent imprisonment, interrogation, torture, and re-education by the Think-Pol in the Miniluv. Wikipedia. 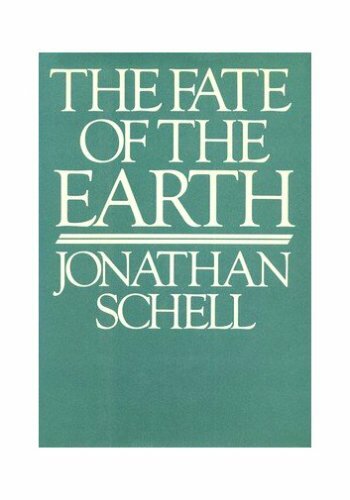 The Fate of the Earth by Jonathan Schell (1982) “Perhaps the analysis of behavior has evolved in human affairs just in time to aid in the instigation and maintenance of the necessary action. It is essential for our own survival that we use all our analytic skills and all the behavior we can muster to resist extinction.” – John A. Nevin. READ: Jonathan Edward Schell (born 1943) is an author and visiting fellow at Yale University, whose work primarily deals with nuclear weapons. Wikipedia. READ: Water-boarding. Sleep deprivation. Sensory manipulation. Stress positions. Over the last several years, these and other methods of torture have become garden variety words for practically anyone who reads about current events in a newspaper or blog. We know exactly what they are, how to administer them, and, disturbingly, that they were secretly authorized by the Bush Administration in its efforts to extract information from people detained in its war on terror. 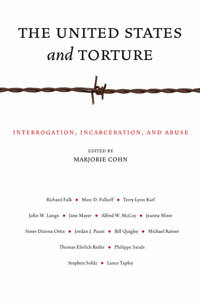 What we lack, however, is a larger lens through which to view America’s policy of torture — one that dissects America’s long relationship with interrogation and torture, which roots back to the 1950s and has been applied, mostly in secret, to “enemies,” ever since. How did America come to embrace this practice so fully and how was it justified from a moral, legal, and psychological perspective? (NYU Press. READ: Since the 1960s, a significant effort has been underway to program computers to “see” the human face—to develop automated systems for identifying faces and distinguishing them from one another—commonly known as Facial Recognition Technology. 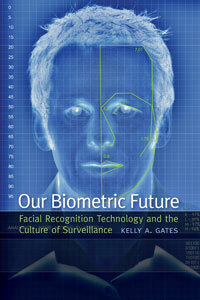 While computer scientists are developing FRT in order to design more intelligent and interactive machines, businesses and states agencies view the technology as uniquely suited for “smart” surveillance—systems that automate the labor of monitoring in order to increase their efficacy and spread their reach (NYU Press). 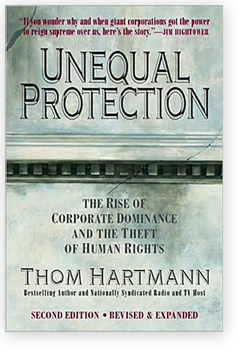 READ: “If you wonder why the corporate world constantly lurches from malaise to oppression to governmental corruption and back, Unequal Protection reveals the untold story. Beneath the success and rise of American enterprise is an untold history that is antithetical to every value Americans hold dear. This is a seminal work, a godsend really, a clear message to every citizen about the need to reform our country, laws, and companies.” – Paul Hawken, author, Natural Capitalism (thomhartmann.com). READ: Presents a collection of interviews, photographs and archive material that document mass killings committed by partisans in 1945 (below). 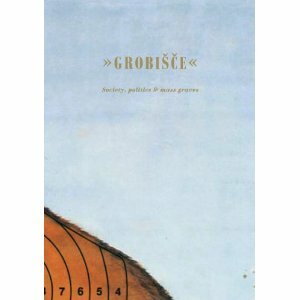 The result is a somber and insightful account of whitewashed Slovene history. Freeman enjoys attacking pithy and challenging subjects; his current projects include a documentary about individuals who believe they are being targeted by government bodies and a book on moral panic (Ditto – hard copy). READ: How and why did this transformation take place, and what does it tell us about recent events such as the Abu Ghraib prisoner abuses in Iraq? Equally important, what does it say about the “nature of human nature,” and what does it suggest about effective ways to prevent such abuses in the future? 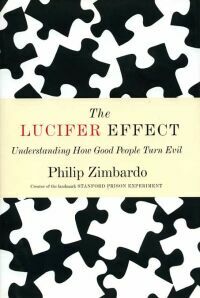 (Official Web-site of The Lucifer Effect: Understanding How Good People Turn Evil). 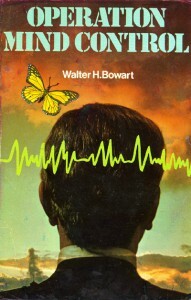 RELATED READING: Recommended Books; Walter Bowart, Alternative Journalist, Dies at 68; An excerpt from his book Mind Control – World Control by Jim Keith. Heute waren schon 6 visitors (126 hits) hier!